The guys get together to catch up and have a pre-UFC 135 discussion. In this episode the guys talk about: Who’s the next coaches on TUF? Brock fails at ratings Mayhem Miller Goes to UFC Preview of UFC 129 this weekend Much more! 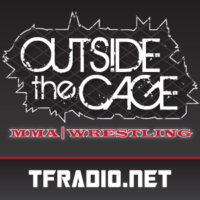 In this episode the guys talk about: Saturday’s StrikeForce Card Nick Diaz possible suspension? Chael Sonnen’s legal woes Brock Lesnar’s chicken recipes Gabe cuts a promo on Diaz ADD hate More! The guys talk about: Strikeforce Fedor loses Latest UFC Card The Rock comes back to WWE More! The guys talk about: Strikeforce Latest UFC card K1—Not KY More!